NEW ALBANY, Ohio, Oct. 2, 2017 /PRNewswire/ -- Bob Evans Farms, via its "Our Farm Salutes" program, today announced that Fan Food, Mutt's Sauce and Vet Veggies are the three winners of the Heroes to CEOs contest, a grant competition developed in partnership with The Mission Continues. All three winning businesses will be awarded a $25,000 business grant and the founders will receive a business coaching session with acclaimed businessman and investor Daymond John, the Founder and CEO of FUBU and investor on ABC's reality series Shark Tank, at a special event in New York City aboard The Intrepid on October 3, 2017. Darryl Hill, Alan Altom and Jerry Martin, founders of Vet Veggies, one of the winning businesses in the 2017 Bob Evans Farms Our Farm Salutes Heroes to CEOs grant contest. Carson Goodale, founder of FanFood and winner of the 2017 Bob Evans Farms Our Farm Salutes Heroes to CEOs grant contest. Charlynda Scales, founder of Mutt's Sauce and winner of the 2017 Bob Evans Farms Our Farm Salutes Heroes to CEOs grant contest. "We were so impressed by all the remarkable entries we received in this inaugural year of the Heroes to CEOs grant competition," said Mike Townsley, CEO and president of Bob Evans Farms. "The breadth of entries and passion from all the participants made our efforts worthwhile. Each of our winners has a unique story and exciting business. Fan Food, Mutt's Sauce and Vets Veggies have a bright future and we look forward to seeing these businesses grow and prosper." 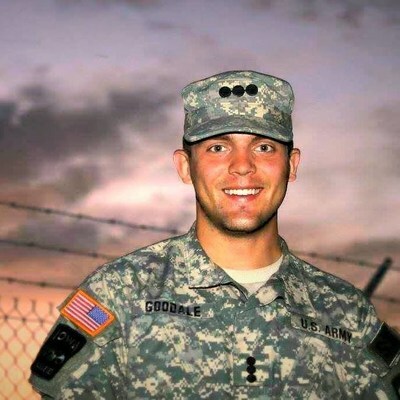 FanFood, created by Carson Goodale, a second lieutenant in the Army Reserves, is a modern mobile concession platform that allows fans in a stadium to order their concessions and have them ready for express pickup or delivery directly to their seats at their favorite events. 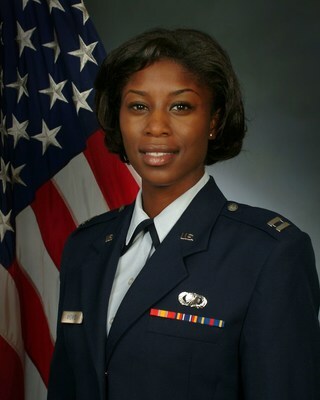 Charlynda Scales, an Air Force veteran, launched Mutt's Sauce in honor of her grandfather, Charlie "Mutt" Ferrell, Jr. In 1956, Mutt got the idea to make a sauce he could use for every meal. Thus, Mutt's Sauce, a multi-purpose condiment, which infuses sweet, tangy and a little heat into each spoonful, was born. After his death, Charlynda learned that he had left the secret recipe to her in his will. She wanted to honor his memory so she took his recipe and bottled it so everyone could enjoy this incredible sauce. 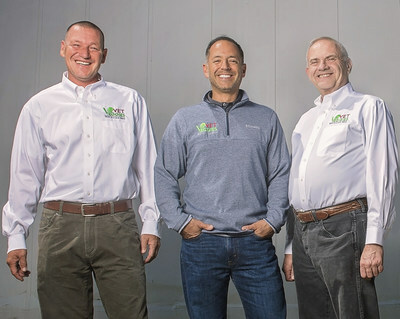 Vet Veggies, a new concept in fresh vegetables, created by Vietnam veterans Jerry Martin and Darryl Hill, helps veterans start their sustainable vegetable business using Freight Farms, freight cars retrofitted to become environmentally controlled hydroponic farms. Vet Veggies enables veterans to start farming for under $100,000 just about anywhere there is 400 square feet of space. "It is always fantastic to meet entrepreneurs as they get their visions off the ground, and being able to do it with veterans makes it special." said Daymond John. "Working with the Mission Continues has been a fantastic experience and I am looking forward to meeting Carson, Charlynda and Jerry when they come to New York and working with them to help further their already great ideas." As part of the "Our Farm Salutes" program, Bob Evans Farms will also be working with The Mission Continues as a lead sponsor for both the Los Angeles 4th platoon and in activating a brand new service platoon in The Mission Continues family, Columbus 1st Platoon, which launches officially during the first quarter of calendar 2018. For more information on the winners and to view each entry video, visit www.ourfarmsalutes.com. The Mission Continues is a national nonprofit organization that empowers Veterans who are adjusting to life at home to find purpose through community impact. Our operations in cities across the country deploy Veteran volunteers alongside non-profit partners and community leaders to solve some of the most challenging issues facing our communities: improving community education resources, eliminating food deserts, mentoring at-risk youth and more. Through this unique model, Veterans build new skills and networks that help them successfully reintegrate to life after the military while making long-term, sustainable transformations in communities and inspiring future generations to serve. To learn more, visit: www.missioncontinues.org or follow on Twitter @missioncontinues. SOURCE Bob Evans Farms, Inc.